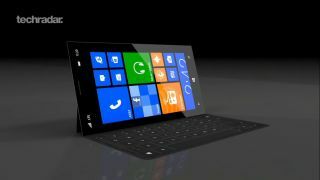 While there's been talk of Microsoft considering a Surface Phone for some time, the chief of Windows Phone has stated that it's not currently in the pipeline. At least not right now. Speaking at the second day of Dive Into Mobile in New York, head of Windows Phone Terry Myerson dismissed rumours that there would be a Microsoft-made Surface-branded version of the Windows Phone any time soon. "It would have to be something where Nokia or HTC was not providing the consumer experience we think is possible with our platform," he said. Even though a Surface Phone has never been a sure thing, it's certainly an idea that makes sense, and one that Nokia has been encouraged in the past. Myerson also had a few things to say about a certain couple of market competitors. "Android is…kind of a mess," he said. "Look at Samsung – there's clearly mutiny going on. The only OEM making money off of Android is Samsung." He then moved onto Apple, discussing the changes found in the iPhone 5: "With iPhone, I sense urgency. With iOS 5 [Apple] just added a fifth row of icons." Of course, the rumoured Windows Smart watch was also raised during the discussion, though Myerson wouldn't confirm whether one was on the way. "It's an exciting space," he said. "There's no doubt that wearable computing has incredible potential."